Seriously, who are these people who spend hours baking impossibly cute and delicious pastries without creating doughy monsters and cookies that ask for mercy? 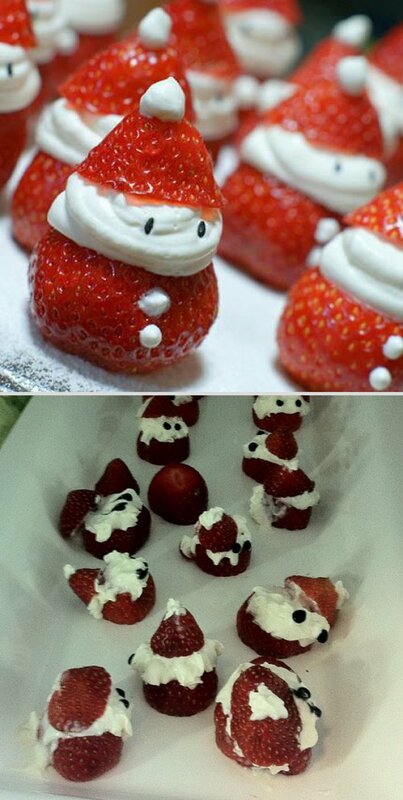 Here's why you'll never be Martha Stewart. #1 - When your skeleton gained weight. See, this is when you start to believe in the whole "I'm just big-boned" theory. 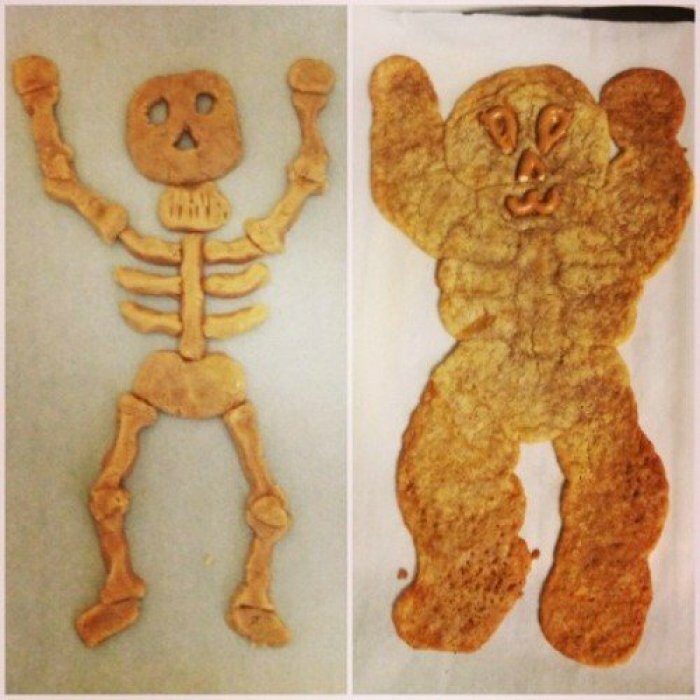 Because you're pretty sure that what started out as bones, suddenly expanded and you were stuck with a ginger-bread man. A very plump ginger-bread man. #2 - When you didn't understand how circles work. It's the intention that counts and boy was your intention ambitious. 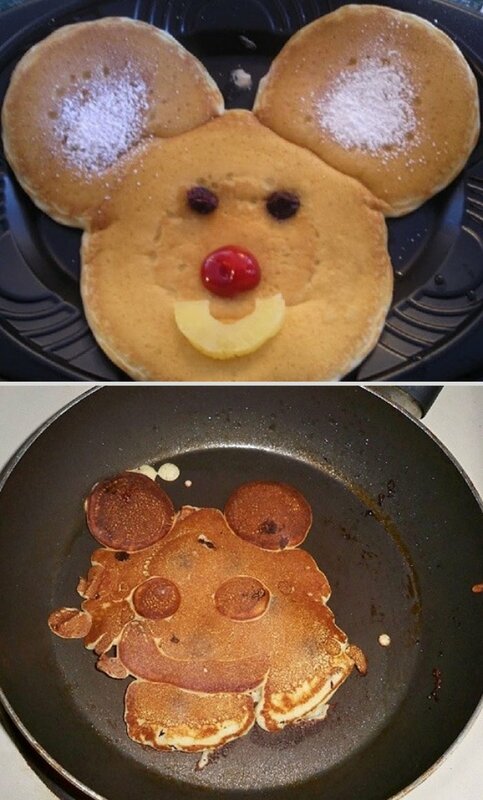 You were going to astound with those Mickey-Mouse banana pancakes. #3 - When you didn't have dainty little fingers. How do you ruin a two-ingredient dessert? Your thick, blunt, giant man-hands can't put a strawberry with whipped cream filling together without creating a massacre. #4 - When that cake looked waaay simpler. 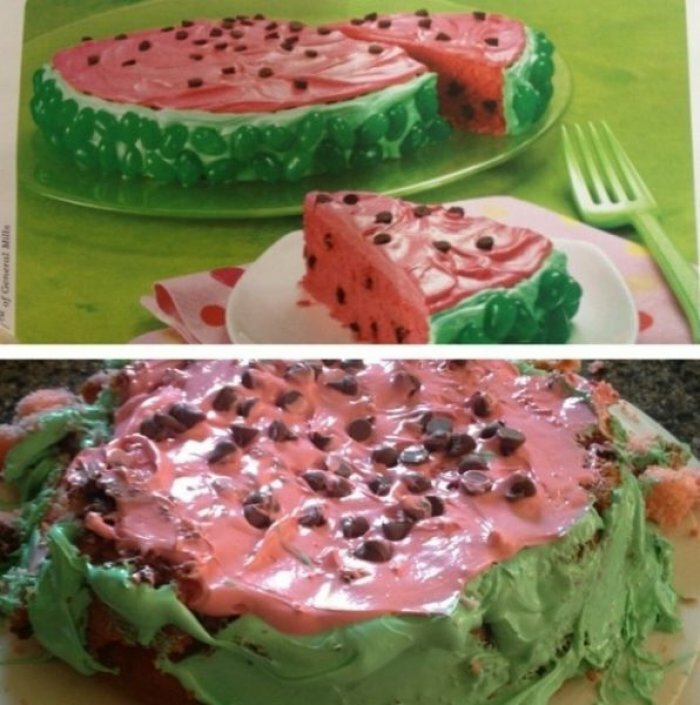 I mean, watermelons are easy enough to draw, how hard could it be to make into a cake? Turns out it's pretty damn hard. #5 - When pinatas sounded like a good cookie idea. Ok, with this one, you knew going in that it would be a challenge. 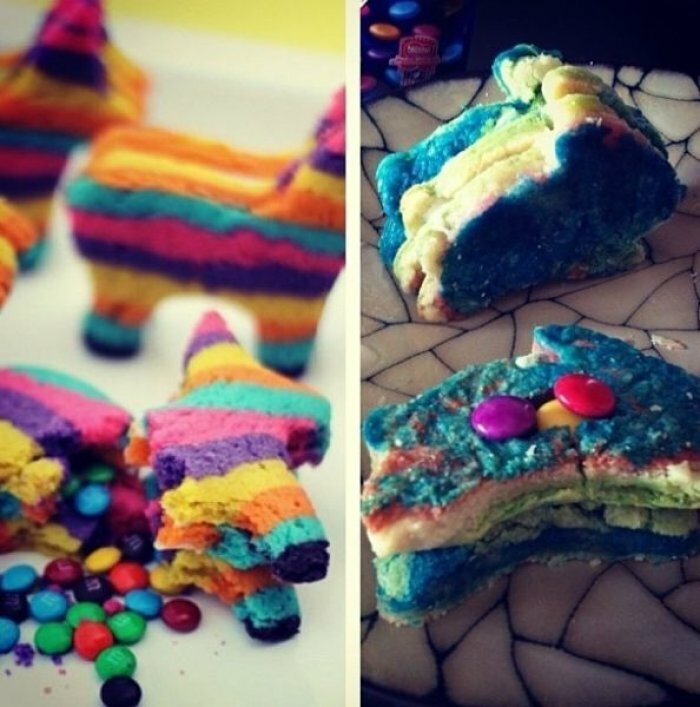 I mean, this is an actual stuffed piñata cookie with intact M&M's inside. 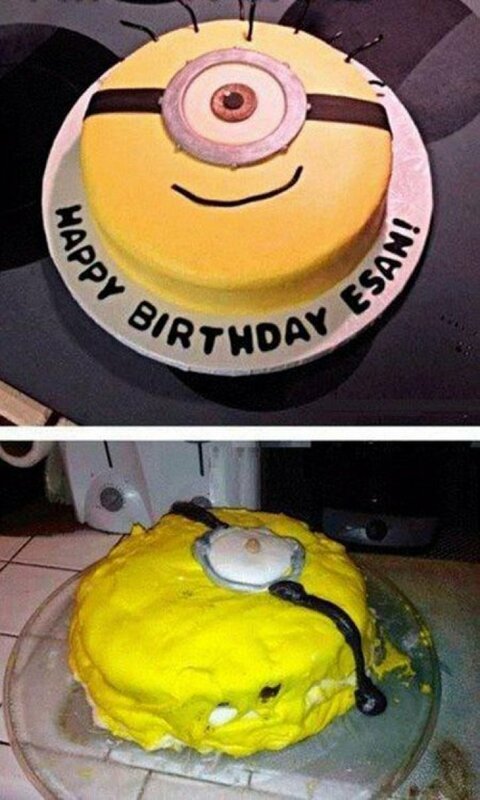 #6 - When that minion cake looked easy. Basically just a single eye on a yellow background. You really know you're not cut out for this line of work when you make a minion look like a cyclops version of Sponge Bob. 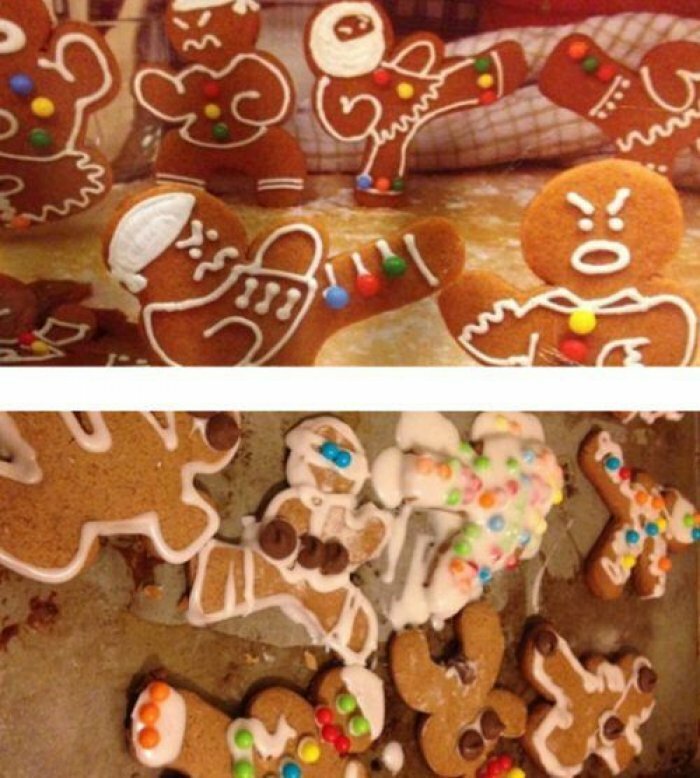 #7 - When an artistic gingerbread cookie fight turns into a doughy massacre. You thought that the decorating part just consisted of a general squirting with an icing gun, but turns out it was more complicated than that. 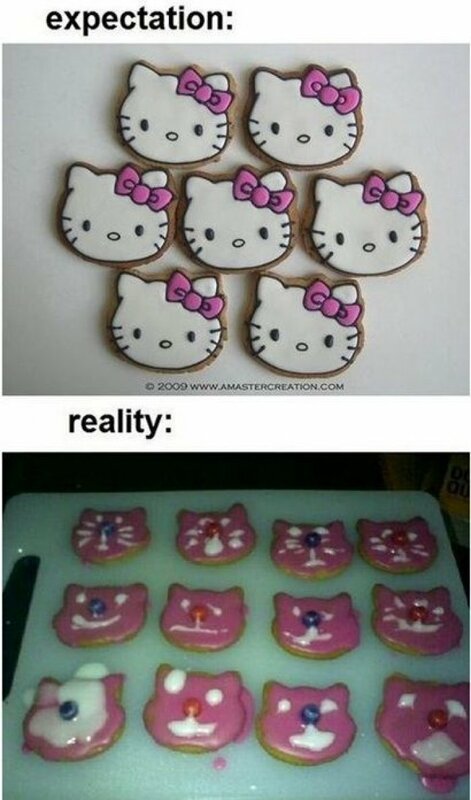 #8 - When your niece wanted Hello Kitty cookies. Let's just say that you used this opportunity to have a passive aggressively feminist discussion about women in the kitchen. 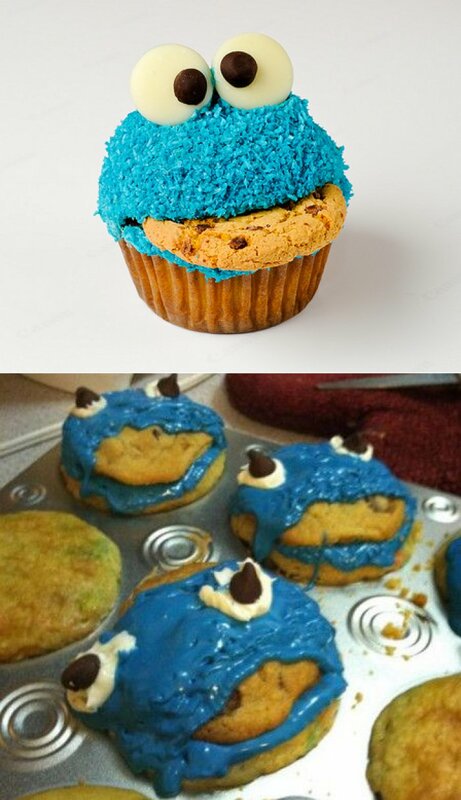 #9 - When you thought this Cookie Monster idea was genius. It's basically just a cupcake with a cookie sticking out of the muffin top. You somehow managed to make it look like someone digested the whole thing and then set it in a little puddle. #10 - When you wanted cake for the book club meeting. 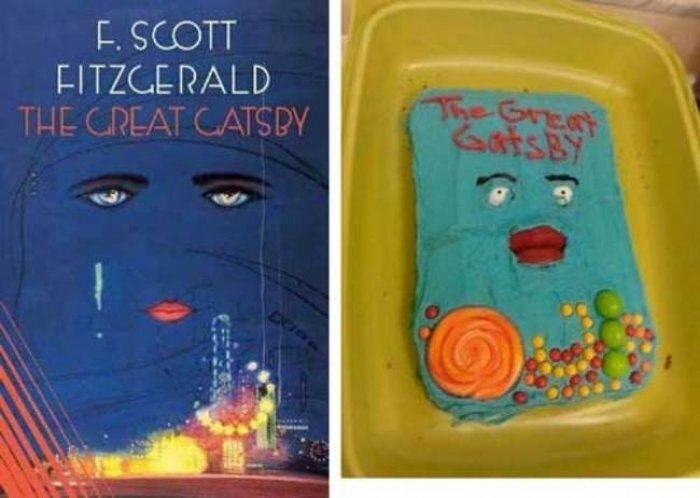 A Great Gatsby cake sounds good in theory and even looked amazing in the picture, but let's just say those Pinterest people are on another level- no one bakes like this.